Tape dispensers are the easiest way to apply packaging tape. 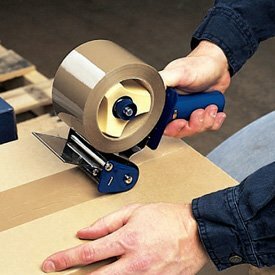 A tape dispenser conveniently stores packing tape and can apply the tape to shipments easily and quickly. Use a packing tape dispenser and you never have to worry about getting tangled up in tape again. At Seton, we offer several types of tape dispensers, including a shipping tape dispenser that has adjustable tension control, offers finger protection and even has a comfortable handle. We also offer filament tape dispensers and spring loaded tape dispensers. With several sizes to choose from, you're sure to find the perfect tape dispenser for all your needs. Power advance label dispensers are fast and efficient for all workplaces. Paper and vinyl label dispensers provide easy label dispensing for all types of labels. Economical choice for convenient label dispensers. Economical choice for convenient label dispensing. Economical choice for convenient dispensing. 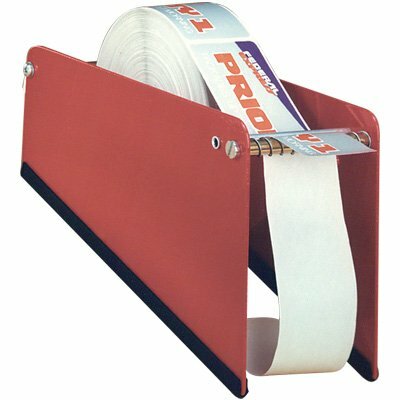 Tape dispensers are an incredibly useful took for a variety of professions and industries. They can be used by workers in shipping and packaging bays, movers who need to seal boxes for delivery, by office managers, and in countless other situations. A tape dispenser can be used for any number of projects and Seton offers several different types to suit all your needs. Shipping Tape Dispenser - Use a shipping tape dispenser to easily and efficiently apply shipping tape to packages about to be mailed. This handy tape dispenser offers several desirable features, including finger protection. Filament Tape Dispenser - This metal tape dispenser is more durable than plastic options, and even features a self cutting edge. Spring Loaded Tape Dispenser - Made of steel and plastic, this tape dispense features a spring loaded arm that makes it easier than ever to use. With so many options to choose from, Seton is sure to offer the perfect tape dispenser for all your needs.